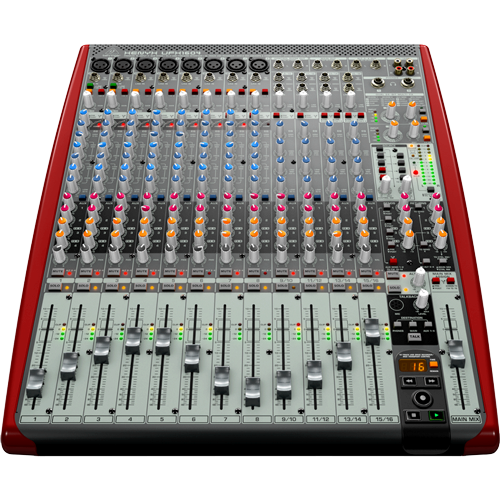 Premium 16-Input 4-Bus Mixer with 16x4 USB/FireWire Interface, 16-Track USB Recorder, XENYX Mic Preamps and Compressors, British EQs and Dual Multi-FX Processors. 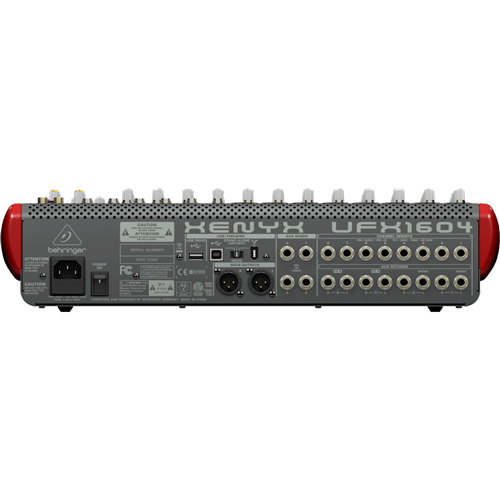 The incredible XENYX UFX1604 is light-years beyond the average live-performance mixer. It also comes with a download license for the legendary, and easy to use Tracktion Music Production Software – a suite that will instantly turn your computer system into your very own personal, high-performance home recording studio.